Miranda Lambert brought down the house during her performance at Sunday’s 50th Annual ACM Awards — no big surprise there. But did her rockin’ medley signal an impending shift in country music? When Lambert took the stage and began singing “Mama’s Broken Heart,” her mega-hit of last year, the crowd’s enthusiasm was palpable. But when she segued from that straight into her current chart-topper, “Little Red Wagon,” well, the audience really went wild. But watching Lambert stomp around the stage with all of her trademark sass on glorious display, it was hard not to think of another blond country superstar: Taylor Swift, who, coincidentally, was dancing and singing along to the song in the audience. Unless you’ve been living under a rock, you well know that Swift made her official departure from country music last year with the announcement of her pop album, 1989. Still, she took the stage at Sunday’s ACM Awards to accept a Milestone Award, which was given to seven country artists who’ve made a major impact on the genre. Swift was in good company, accepting alongside veteran country icons Garth Brooks, George Strait, Reba McEntire, Brooks & Dunn, Miranda Lambert and Kenny Chesney. During Swift’s acceptance speech for the award, she thanked country music for being gracious, kind and supportive when she decided to explore other genres. The writing had been on the wall for quite some time, though, thanks to her pop-heavy album Red. So, when I see Lambert on that stage singing “Little Red Wagon” and see Swift’s head bobbing in approval, I can’t help but ask myself if there’s a connection to be made. Is Lambert following in Swift’s footsteps? Will she soon be jumping the proverbial country ship for a more rock or pop-tinged sound? Listen, don’t get me wrong. I love “Little Red Wagon.” Like, listen to it in my living room every day while having my own private dance party love it. But when I hear it and when I see Lambert rock out to it onstage, it reminds me of songs like Swift’s “22” and “We are Never, Ever Getting Back Together” — neo-country precursors to her entirely pop album. The song itself was, in fact, written and recorded by an artist who identifies as “folk rock, soul, EDM.” Audra Mae, an Oklahoma native like Lambert, penned the catchy ditty and released it on her 2012 album Audra Mae and the Almighty Sound. John Eddie suggested the song to Lambert, who then asked Mae’s permission to record it. And while I’m a huge fan of “Little Red Wagon,” Audra Mae and Swift’s 1989 album, for that matter, I can’t imagine a country music world without Lambert in it. Since coming onto the scene in 2003 as a finalist on Nashville Star, Lambert has supplied fans with a steady stream of always twangy and often empowering hits. She has won a slew of awards, including seven consecutive ACM Awards for Female Vocalist of the Year. But, like Swift, Lambert is without a doubt dipping her toes into other genres — or, at the very least, imbuing her music with traits of those genres. On Platinum alone, tracks like “Platinum,” “Priscilla,” “Somethin’ Bad” (her duet with Carrie Underwood), “Holding On to You” and “Two Rings Shy” are definitively more progressive. On the other hand, songs like “Automatic,” “Old Sh!t” and “Another Sunday in the South” certainly classify as the nostalgic country sound. Plus, Lambert is a good ol’ country girl who lives on a farm in Oklahoma with none other than Blake Shelton. Surely, she won’t leave us for good, right? Right? 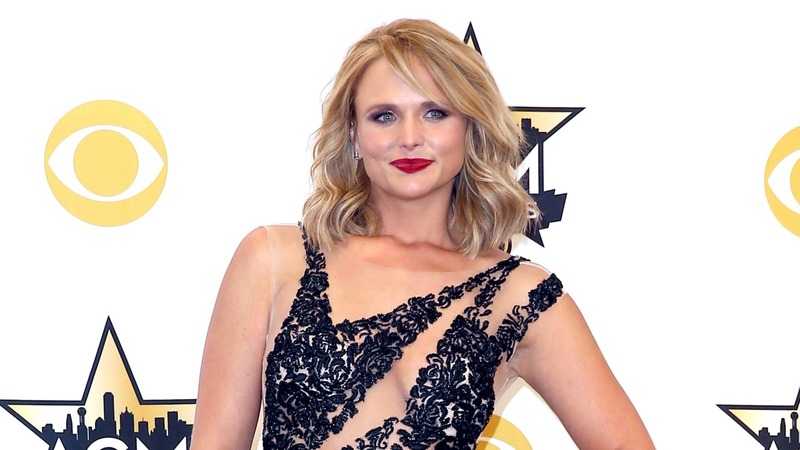 Do you think Miranda Lambert is transitioning into pop music? Or is she just the perfect example of country music’s future? Tell us what you think.